Near Singapore Science Centre; 2010. 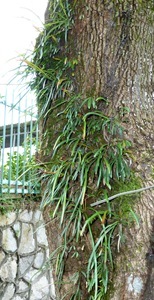 Growth Form or Habit: Epiphytic herb. Habitat: Forests and open places. 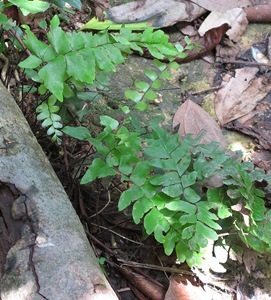 Growth Form or Habit: Terrestrial herb, grows to less than 1m tall. Distribution: India, South China and Kyushu (Japan) to Malesia.